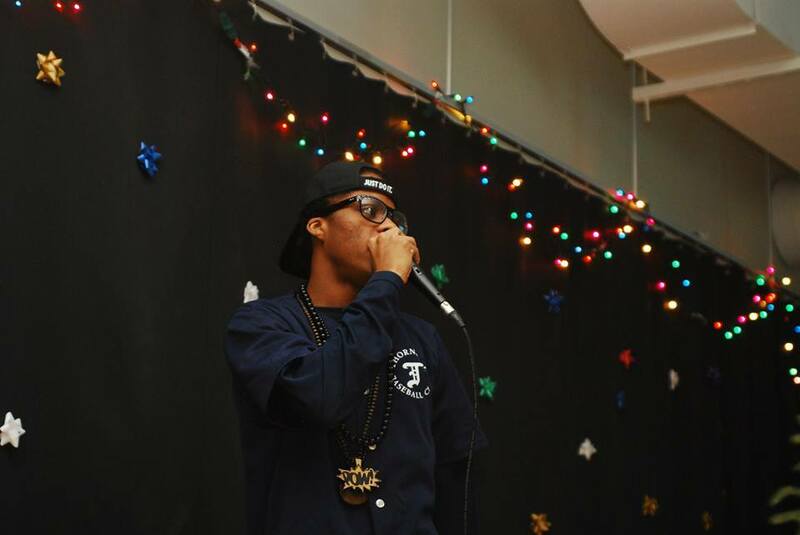 From dancing to acting, Jeffrey Edwards is a young multi-talented artist from the Weston community, commonly recognized for his successful rapping endeavors and even more commonly recognized for his stage name, JSoul. With an album currently in process, he has produced three singles to this date which are posted on his Youtube channel, alongside his many song covers and freestyles. But his work doesn’t stop there – curated separately on another channel are Jeffrey’s many comedy videos. He has performed at numerous popular venues such as the Drake Hotel, the Gladstone Hotel, and the Danforth Music Hall, coincidentally just two days after Lorde had previously held the stage for her Toronto concert. During his participation in the Talent Nation contest, where young artists competed to get a record deal, Jeffrey was able to sample a taste of the real music industry and meet with companies like Sony and Warner. Yet before hitting the stages, writing songs, and meeting with big names in the music industry, Jeffrey knew he loved to perform ever since he was a kid. Despite his current artistic focus, J Soul didn’t start off with rapping. Dancing was his passion as a child. Enrolled in the DLM Dance and Entertainment Studio, he pursued dancing for eight years, winning various dance competitions. It was only in grade three where Jeffrey realized his knack for rhymes. Shortly after, he joined Lost Lyrics, a mobile initiative that encourages youth to creatively share their stories through the arts. Immersed in the program, Jeffrey began to concoct rhymes and write more songs throughout middle school. Graduating from Amesbury middle school and now attending Weston Collegiate Institute, Jeffrey would soon join another art-orientated organization that would quickly to prove to change his life. And coming back to the Urban Arts building would prove to give him plethora of new opportunities. First joining the Beats.Mind.Movement program in 2013, Jeffrey continued to volunteer with Urban Arts and work the facilitators to mentor young participants. After attending multiple comedy workshops, learning to write and make music, and collaborating with other members in Urban Arts, Jeffrey was able to launch his comedy and music Youtube channels under his popular persona, JSoul. When asked why he writes music, Jeffrey stressed that he wanted to express himself while being able to enjoy his natural love for performing in front of crowds. And his honest individualism is true; youth-relatable topics like the teenage process of weaving through old and new friends are obvious in his lyrics – and of course, girls too. In fact, his videos have accumulated enough views and likes that his familiarity has reached the streets. In the near future, he plans to drop a multitude of singles to lead up to the reveal of his full album and. In collaboration with some of his friends, Jeffrey is creating a music group called Fly Mind that will post covers and songs up on Youtube as well. In the meantime, he is currently trying to nail two monologue pieces to be presented at an audition with the biggest casting agency in Toronto later this month. Throughout the years, Jeffrey has undeniably progressed amazingly as an artist and charismatic individual. The effort put forward into his artistic career is admirable and in turn, the end product of being heard by a vast audience is well-deserved. Be sure to check out his channels at JSoulMusic and JSoulComedy.